The Java Muses newest favorite way to spend a Sunday afternoon is happening this Sunday. Sunday Streets Houston is going to be in East End. Sunday December 7, 2014. Noon – 4pm. Show 4 was a blast to prepare because we got on our bikes and took part of Sunday Streets Houston. Although Bill had attended previous Sunday Streets, it was Stig’s first and a beautiful day and lots of fun. Show 4 starts with a wrap up of Stig and Bill’s activities during the week of Halloween. 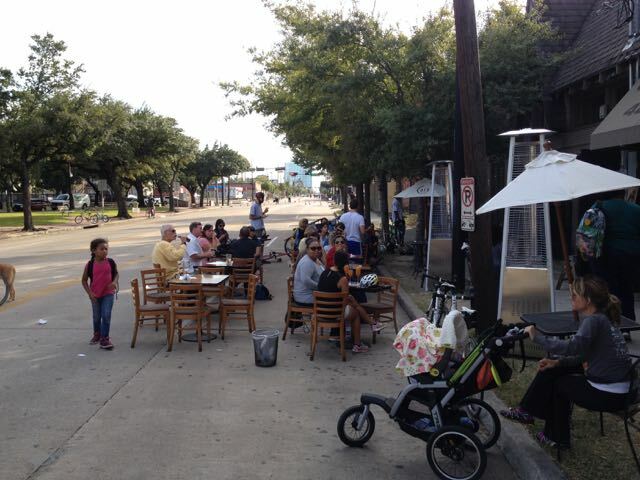 At 6:44, Bill and Stig discuss Sunday Streets Houston last event in the Third Ward. At 16:44, Stig and Bill cover the week’s sporting news. At 23:47, Stig talks about the Alice Cooper tour, Bill discusses a Hulu series, and they wrap up the show with Stig’s iPod. The Houston Chronicle has a brief article about the multiple bicycle events in Houston this weekend. Stig and I will be checking out the Sunday Streets in Third Ward. Also of note: the Houston Mini Maker Faire in Stafford on Saturday. Adding A (arts) to STEM (science-technology-engineering-math) = STEAM. Fun for the whole family.